Wednesday, September 27, 2017 is National Women’s Health & Fitness Day. Held on the last Wednesday each September, the day serves as important reminder for women everywhere and of all ages to make their health and fitness a priority. Not only are they often setting the example for children on how to live a healthy life, but it is common for them to put taking care of everyone else ahead of their own needs. Now is the time that every woman should make health and fitness priority number one. There are a lot good reasons for women to make health and fitness a higher priority. According to the U.S. Department of Health and Human Services, having an active lifestyle can lower risks of early death from a variety of causes, including lowering risks of heart disease, stroke, high blood pressure, type 2 diabetes, metabolic syndrome, colon cancer, breast cancer, depression, and unhealthy cholesterol levels. Change your mindset so that you are not “dieting.” When people go on diets they feel they are being deprived of something and that diets are a temporary thing. Rather, change the way you think about it so that your lifestyle changes and it’s something that is permanent. Look for local health and fitness events to get involved in. They will be a good way to meet other likeminded people, learn new information, and gain motivation. They are often held by libraries, fitness clubs, hospitals, and other health-related entities. Find others who want to focus on their health and fitness. Join in on their group, or ask them if they want to start one. Meeting up with others who want to get and stay healthy is a great way to help motivate each other, as well as hold one another accountable. Try a variety of fitness activities until you find some you enjoy, then make them a regular part of your life. 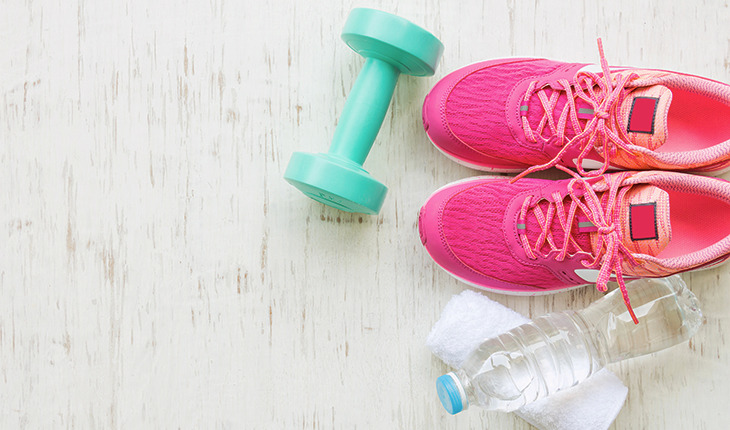 Whether it’s swimming, hiking, biking, or doing an aerobics class at the gym, it’s important to find the things you like doing and then stick with them. For an individualized boost, work with a personal trainer or fitness coach. They can tailor a program to meet your body and needs, helping you reach your health and fitness goals. Don’t forget about the importance of eating healthy. Many people put the effort into exercise, but then don’t eat a healthy diet. You can’t out-exercise a poor diet, so be sure to eat plenty of fruits, vegetables, whole grains, lean sources of protein, and limit things like sugars, fats, and processed foods. Sarah Walls has over 15 years experience in coaching and personal training. Owner of SAPT Strength & Performance Training, Inc, founded in 2007, she offers coaching to develop athletes, adult programs, team training, online coaching, and more. She is also the strength and conditioning coach for the WNBA’s Washington Mystics, and has over eight years of experience working as an NCAA D1 strength and conditioning coach and personal trainer. To learn more, visit the site: www.saptstrength.com or www.sarahwalls.com.